After leaving Duke University, Fels was appointed as a Research Fellow in the Department of Applied Economics, University of Cambridge, where his Duke Ph.D thesis was published as The British Prices and Incomes Board by Cambridge University Press. This set the stage for his interest in wages policy and price regulation. Fels returned to Australia in 1972 to take up a lectureship at the University of Melbourne, but soon after moved to Monash University where he was offered the job of Senior Lecturer. Fels was appointed as Professor of Administration at Monash University in 1984 and was the Director of the Graduate School of Management, Monash University from 1985 until 1990. His first move into the regulation area was a part-time role as the ACTU’s nominee on the Whitlam government’s Prices Justification Tribunal. He was later Prices Commissioner of Victoria. It was during this time that Fels gradually converted to a belief in the primacy of competition to reform economies and to control inflation. After running the Prices Surveillance Authority under the Hawke government, Fels was appointed to the TPC just as competition policy became the buzz issue. Fels was Chairman of the former Trade Practices Commission from 1991 until 1995 and Chairman of the Prices Surveillance Authority from 1989 until 1992. Fels became one of the economy’s most influential figures – and probably one of the most important and activist regulators Australia has ever seen. He was awarded the Order of Australia in June 2001. 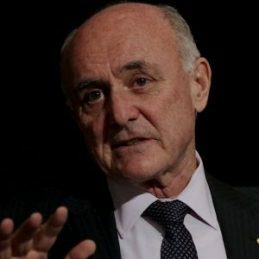 In 2003, Fred Brenchley wrote a book entitled ‘Allan Fels: A Portrait of Power’ about Fels and his contribution to Australian competition law and policy. He was also inducted as an honorary member of the Monash University Golden Key Society. Fels famously argued that the retirement age should be raised above 65 in order “to offset the economic costs of our ageing population”. In 2009 he was appointed a part-time Productivity Commission Associate Commissioner for the inquiry into Regulation of Director and Executive Renumeration in Australia. He is one of our most informed business and political speakers.